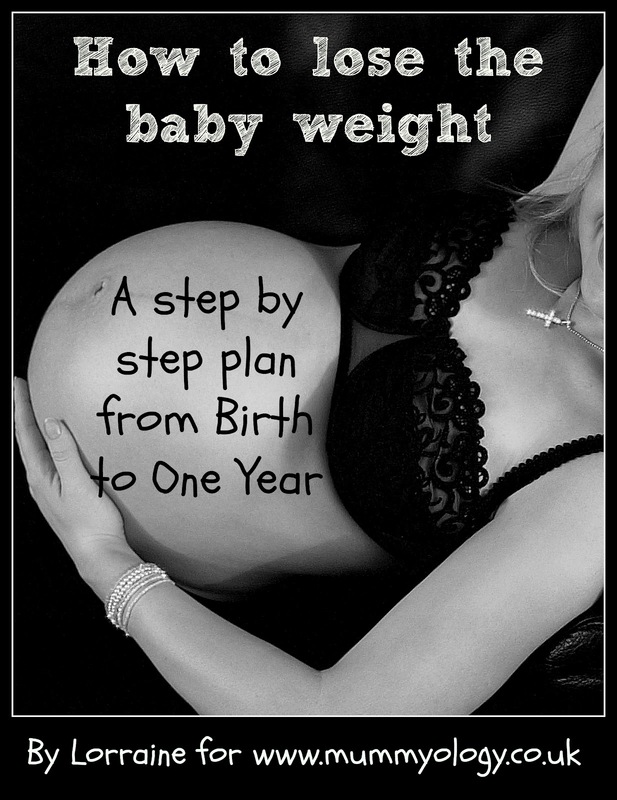 A step by step plan from birth to one year. Having a baby puts an incredible amount of stress on your body, both physically and emotionally, and is a major change to the routine you’ve been used to, whether it’s your first, second or third child (or more!). The most valuable piece of advice I think I can give you, as both a mum of two and a health and fitness professional is: Relax and enjoy it! Your baby is tiny for such a short space of time that there is no point stressing the small stuff. Not every woman is lucky enough to bring her baby into a supportive household with heating, food and a steady income. So, if you are one of the lucky ones then use this time to nurture good habits and learn to love yourself as much as you love your new baby. Here is a step-by-step plan to help you to look and feel fabulous by your baby’s first birthday. I’ll explain how you can banish the wobbly thighs and bloated tummy and support your body through sleepless nights. At this point you’ll be experiencing overwhelming feelings, in probably equal measure, of both unconditional love and utter panic that you’re solely in charge of this delicate little life. Your body is undergoing massive hormonal changes and your moods will understandably rise and fall as frequently as your baby wakes, sleeps and poops! All mums go through this regardless of status, wealth, location or dress size, so take heed, you are not alone. The best thing you can do at this stage is relax and tune in to your baby’s needs. Sleep when he sleeps; eat little and often and enjoy the cuddles. The exercise plan and diet doesn’t start yet! In this adjustment phase there are things you can do to improve your health and boost your immune system so you don’t come down with every cough and cold going round. First, eat lots of vegetables and fruit. It doesn’t matter if they’re raw or cooked, varied or the same thing every day – all will be far more beneficial than processed snacks like chocolate, crisps or fizzy drinks. Secondly, drink plenty of water, herbal teas and a little diluted fruit juice to ensure you’re well hydrated. Thirdly, breastfeed your baby. It’s well reported that it helps burn extra calories and, of course, you’re giving your baby a great start with the milk he was designed to drink. However, if breastfeeding is not possible for you for either medical or emotional reasons then do whatever feels best for you. Women beat themselves up about this way too much. Follow your heart and trust your instincts. Finally, get outside for a walk every single day. Start with 15-30minutes depending on your previous level of fitness. If you’ve had medical issues just check with your doctor first. If you feel fit and well, there’s nothing stopping you walking for an hour every day – but don’t overdo it in these early days. You’ve had your medical check-up and all is good. If you had a C-Section then now is the time to start a walking routine, but pace yourself and listen to your body. If it hurts, stop! For those who had a natural birth and have been walking for a month or more, then start adding in a few squats or lunges or go back to your gym and ask a qualified fitness trainer to update your programme, taking into account for the extra looseness in the ligaments for a few weeks after giving birth. You could start doing a home exercise DVD – maybe something gentle like yoga or low-impact aerobics or a ‘Legs, Bums and Tums’ style class. Your health visitor should have provided you with a leaflet about pelvic floor exercises – DO THESE WITHOUT FAIL!! Your breastfeeding routine should now be established and satisfying for both of you and you’ll understand your baby’s habits and timings a little better. All mums should ensure a high intake of fresh fruit and vegetables; oily fish such as mackerel or salmon, wholegrain carbohydrates such as brown rice, wholewheat pasta, wholemeal bread; good quality dairy produce such as plain, live or Greek yogurt, cheese and eggs and small portions of meat, chicken or fish every day. Avoid eating too much sugar – though a small slice of homemade cake will not hurt once in a while. Enjoy the mums and babies coffee mornings, they’re a massive support and could be the start of lifelong friendships. Three to Six Months: Your baby should be sleeping for long stretches throughout the night and you’ll be feeling more energetic and content in your routine. You may even have returned to work. Throughout this phase you should continue with a balanced eating plan. Breakfast is the most important meal of the day so try to eat before heading out to work or on nursery/school runs. Scrambled egg can be whizzed up in a couple of minutes with a slice of toast, a green tea and a piece of fruit. Smoothies also make quick breakfast meals. Simply throw a banana and a handful of fresh or frozen berries into a blender with some plain yogurt and water and blend in seconds. If you haven’t joined a gym then now is the time to really ramp up your walking routine. Your baby is becoming more alert and will happily listen, gurgle and chuckle as you walk around country lanes or through town centres pointing out birds, flowers, buses or trains! A three-wheeled buggy is a great investment (I had one from Mothercare for £130 that lasted me for years and even came abroad with us) and if you’re planning on jogging or running with your little one then ensure you buy one suitable. To increase the intensity of your walking you need to do one of three things – increase either your speed, duration or incline. If you’re walking, you’re limited to the speed you can increase to, while your duration shouldn’t go much over an hour at a time. Therefore, try to find some hills and take long steps behind your buggy, driving your heel into the pavement and squeezing your glutes (bottom) as you walk. Pushing baby in a buggy is a good workout for your upper body too, especially as you go down steep hills and have to stop the buggy from pulling you! The intensity will further increase the heavier your baby gets, so your workout naturally gets harder as you get fitter. A word of warning – double buggies are much heavier (especially if one baby is actually a toddler!) so relatively moderate inclines will suffice. Try instead to increase the speed on a flat surface. Devise an eating strategy and stick to it! Eat five small meals a day (six if you have an early start and a late finish) – Breakfast, lunch, dinner and two snacks. Cut out refined carbohydratessuch as white bread, white pasta, chocolate, cakes, biscuits, doughnuts and sugary cereals. Eat an abundance of fresh vegetables and fruit, lean protein sources (i.e. chicken breast instead of sausages, or salmon fillet instead of fish fingers). Drink water instead of fizzy drinks, herbal teas instead of black tea and coffee. Walk with your baby in the buggy every day, if possible. Add another exercise 4-5 times a week for 40-60 minutes each time. Try an exercise class (Zumba is really popular) or join a gym and do regular weight training or resistance training – this helps to add muscle tissue which will give you the tone you desire and will increase your metabolism and help burn fat faster. Many of you will give up breastfeeding during this period. Use these three months to enhance all the good habits you’ve started and increase your exercise intensity further while being extra ‘clean’ with your diet to achieve an amazing physique by your baby’s first birthday. Many mums find they actually end up lighter than when they fell pregnant, which highlights the fact that having a baby is NO EXCUSE to stay overweight! You can achieve amazing results without ever paying for a personal trainer, a gym membership or seeing a nutritionist – however, meeting these people will give you a new perspective and valuable inspiration and information. What you’ll need is plenty of dedication, willpower, strength and planning, but hey, you’ve just been through pregnancy, birth and sleepless nights – so YOU can, most definitely, achieve your goals! Good luck, and I look forward to hearing your comments or questions. How to lose the baby weight (when you’re closer to 40 than 20 and your babies are teens!) Family Fitness – 5 Tips to Improve Diet and Fitness 10 Steps to Slimmer Thighs! So you want a beach body? Find Your Post-baby Outer Beauty 4 Reasons to Love Baby Wearing Birth, baby and beyond…THE BIG LIST How to make a baby part two. Thank you for your message. It’s never too late to make positive changes 🙂 Accepting where we are today, and loving ourselves (cake weight and all!) is the first step to a better future. Great post! I just started last week to clean my diet and workout after seeing a photo of my family and I at the beach. Yikes! This is the best post I’ve seen about losing the baby weight. I let myself not concern myself with the weight because I was using breastfeeding as an excuse. I didn’t do sugar and tried to be as healthy as possible, so I’m not too bad, but my baby is now six months and I did hardly any exercise, (except baby wearing.) I like how positive you are. Great advice. Thank you for your lovely comments snipznsnailz, I’m really pleased my positivity is shining through 🙂 Good luck with your weight loss goals and enjoy your little one. Wow! What a wonderful and informative post you made Lorraine. You just show the light to get rid of mommy belly fat after giving birth. Thanks again !